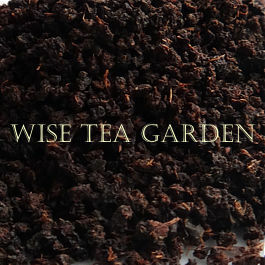 PEREGRINE MOUNTAIN TGFOP 1st FLUSH © WISE TEA GARDEN® Black tea is a fully-fermented tea and its infusion has a bright reddish colour, a rich aroma and flavour. 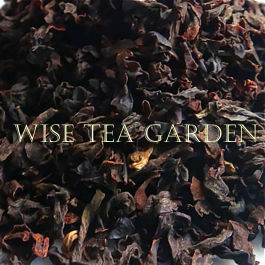 It is considered that green and white teas are generally have more polyphenols than other types of tea, but note that some high grown luxury black teas have higher levels of antioxidants than low grown green and white teas. One cup of a black tea contains approximately 50mg of caffeine, depending on the strength and size of the cup (coffee: 65-175mg of caffeine per cup). The largest and widely known Black Tea production countries and regions are Assam, Darjeeling, Sikkim, Nilgiris, Sri Lanka, Indonesia, Kenya, Tanzania, Rwanda. Geographic position of a tea estate is very important for developing the profile and aroma of the particular tea. Growing altitude, temperature, humidity, rainfall, sunshine, soil composition and many other factors are directly linked to tea liquors. For example, Darjeeling region is located high in the Himalayas at an average altitude of 2143m above sea level and produces light liquoring teas with a regional character known as muscatel. Estates in the neighbouring regions of Nepal and Sikkim produce teas that are similar in character but usually slightly stronger in the cup. 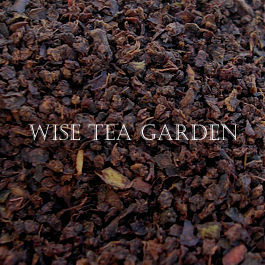 In Darjeeling, the most delicate tea is produced from leaves plucked in early spring - First Flush tea. Kenya Estates don't use pesticides and herbicides, because pests typically damage tea crops aren't found at their high altitudes. Instead, the estates use Nitrogen as a natural fertilizer making them almost organic by default. As a further way of improving yield, every 25 years, fields are left fallow for 2 years as and replanted. By the way, the best teas are harvested in Kenya during the drier months: January, February and July-August. Steeping Time: Brew whole leaf Black teas for 5 minutes, broken-leaf - 3 minutes. Ingredients: • 2 cups organic all-purpose flour • 2 tablespoons loose Organic Earl Grey Tea • 1/2 teaspoon salt • 3/ 4 cup confectioners' sugar • 1 teaspoon organic vanilla extract • 1 cup (2 sticks) organic butter room temperature. Optional: 1tbs Lavender Blossoms. In a food processor, pulse together the flour, tea, and salt, until the tea is just spotted throughout the flour. Add the confectioners' sugar, vanilla, and butter. Blend together just until a dough is formed. Optional: Add Lavender Blossoms, blend. Place dough on a sheet of plastic wrap, and roll into a log, about 2-1/2 inches in diameter. Tightly twist each end of wrap, and chill in refrigerator for 30 minutes. Preheat oven to 375F. Slice the log into 1/3-inch thick disks. Place on 1-2 parchment baking sheets, 2 inches apart. Bake until the edges are just brown, about 12 minutes. Let cool on sheets for 5 minutes, then transfer to wire racks and cool to room temperature.  Frequent Question: I'm looking for a black tea with sweet floral or wine notes. Please advise. A: Please try Sri Lanka's Dyraaba or Sylvakandy. If you are looking for an organic variety, we would suggest Organic Irish Breakfast. Similar teas: Organic Tanzania or Rwanda Rukeri - both are a bit malty, but pretty flowery, and Temi FTGFOP - very well balanced, we would say 'refined'. Cup characteristics: Highly refined and finest on the market, full boded tea with superb astringency and bright creamy liquor. To open an extensive malt character, a splash of milk is recommended. Don't forget to pair with a biscuit since all good Assams are ideal pairings to any kind of biscuits! 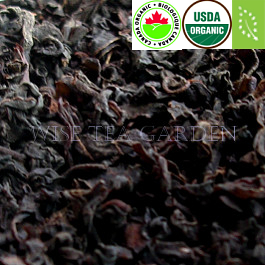 Ingredients: Certified Organic Estate Black Tea. Infusion: Bright tending coppery. Cup characteristics: Fabulous, deeply malted, Assam. Malty with a jammy-like aroma capturing the pungent 2 nd flush flavor at its peak. Borengajuli Estate is one of the highest yielding estates in terms of exceptional, luxury grade teas. This tea is vacuum-packed directly at the estate - it's only been exposed to oxygen for about two hours. Ingredients: Natural Estate Black Tea. Infusion: Bright and tending coppery. Cup Characteristics: A classic Ceylon tea from Koslande Estate. Light liquoring with hints of delicate floral notes - lovely tea for afternoon tea parties. FYI: The Koslande Estate is covered by 3 different organic certifying bodies: IMO of Switzerland, Organic Farmers and Growers of the UK and Nat. Assoc. of Sustainable Agriculture of Australia. 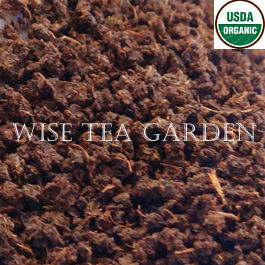 Ingredients: Certified Organic Estate Black Tea. Infusion: Bright tending yellow. Cup Characteristics: The fragrance and taste is a complex bouquet that reaches right out of the cup. 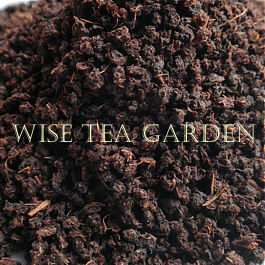 Most often the taste of Darjeeling is described as similar to the taste and fragrance of muscat grapes. Due to the superb taste and limited production of Darjeelings, these teas are quite expensive. 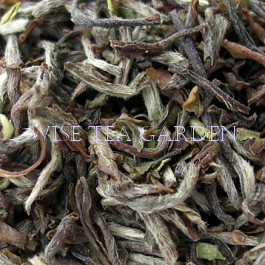 Flavory muscatel character will not disappoint the discerning Darjeeling drinker. Tippy leaf signifies good manufacturing. 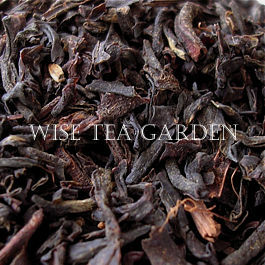 Ingredients: Certified Organic Estate Black Tea. Infusion: Bright tending light. Cup characteristics: Dyraaba's leaf is broad and twisty. When infused, it releases the flavour slowly. The cup is medium thick, with a lightly floral, slightly wine notes. Dyraaba OP is grown in the Uva district where peak production occurs between July and September. One of the best Sri Lanka's Up-Country teas with the perfect balance of flavour and strength. Ingredients: Natural Estate Black Tea. Infusion: Bright coppery. Natural Tea /grown on a pesticide-free tea estate. 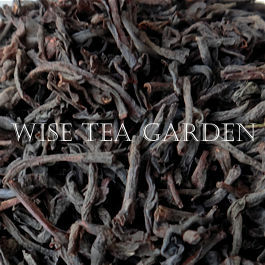 Cup characteristics: High mountain grown natural Nepalese tea. The slopes where this tea is produced are extremely steep, and the entire Ilam estate is surrounded by the snow covered peaks of the Himalayan Mountains. The appearance of the leaves is very typical for the high mountain grown premium Nepalese tea: it is slightly mottled with greenish and brownish leaf due to the different leaf fermentation and the difference in age of each mother bush. Second flush is harvested in June and has full body, good strength, and lovely hints of muscatel. An excellent afternoon tea pairing with raspberry jam. Ingredients: Natural Estate Black Tea. Infusion: Bright tending slightly greenish. Cup Characteristics: A heady, stout and robust blend of some of the world's finest organic February Tanzanian and June 2nd flush Assam. The cup is malty and profound, tending bright malt. Superb colour and full bodied. Excellent all day tea. Very aromatic and tasty! 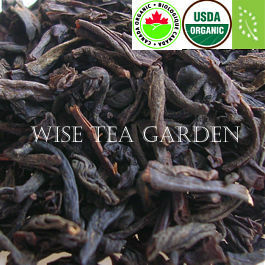 Ingredients: Certified Organic Estate Black Tea. Infusion: Golden with highlights of sunset orange. Cup characteristics: While many Indonesian teas are still sold for blending purposes, teas from Santosa estate are prized as unique self-drinkers This tea is only produced in August, Java's peak growing season. 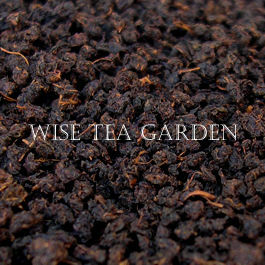 The cup is light and malty, with subtle floral undertones typical of good Indonesian teas. You can enjoy this tea with milk and sugar, as well as try it in a Java style - brewed double strength with double sugar or stevia. Ingredients: Natural Estate Black Tea. Infusion: Tending yellow with bright notes. Natural Tea /grown on a pesticide-free tea estate. 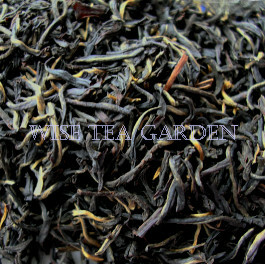 Cup Characteristics: Most professional tea tasters describe the best Nepalese teas as the top Darjeelings. This natural Nepal Junchi is an excellent example. The cup opens with ethereal aroma of the mountain air muscatel from the "Rooftop of the World" and soft notes of wheat and moss grounded by good mouth filling astringency. Pure, clean and aromatic infusion. Ingredients: Natural Estate Black Tea. Infusion: Very bright and golden coppery. Natural Tea /grown on a pesticide-free tea estate. Cup Characteristics: Classic high altitude estate Kenya teas are one of the finest, most flavory teas to be found anywhere on Earth. Malty and smooth with toffee-like hints of toast & butter, currant and moist earth. Like all good Kenyan's, this tea makes an excellent self-drinker, but also takes milk extremely well. Rare tea. Note that Kenyan teas are all natural and almost organic by default: They are grown on estates, which do not use pesticides or herbicides because pests that typically damage tea crops are not found at their high altitudes. Instead, the estates use nitrogen (N) as a natural fertilizer making them almost organic by default.Ingredients: Natural Estate Black Tea. Infusion: Very bright and golden coppery. Cup characteristics: Exceptional notes of jam, light floral character and a long smooth finish. Lelsa estate is a sub-district of one of the finest Kenya tea estates - The Tinderet. Lelsa sub-district is considered something of a jewel in the crown. The hits is in Eucalyptus trees grown previously on the land, which is now a tea garden - the notes of eucalyptus are said to colour the profile of the tea like a botanical fingerprint. 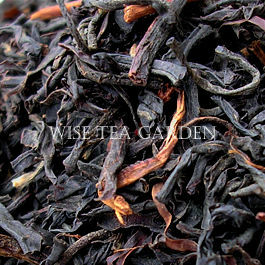 Lelsa's teas are prized for their purity of character and malty Kenyan flavour that takes milk exceptionally well. It is truly one of Africa's greatest teas. Fair Trade and the Ethical Tea Partnership certified. Ingredients: Natural Estate Black Tea. Infusion: Coppery orange. Natural Tea /grown on a pesticide-free tea estate. Cup Characteristics: Milima is plucked on Kericho's Kaproret, Samarek and Chemase estates at about 6000 feet above sea level. Milima means 'mountain' in local Kenyan Swahili language. This variety is manufactured at Saosa factory since 1929: The best quality leaf is developed during the cooler months of June and July. After plucking in the morning, leaves are gently rolled in order to maintain the exceptional flower character and obtain the twisted leaf appearance. The liquor of Milima is bright coppery orange, and has floral aroma and taste with malty notes of Bordeaux-like flavour. 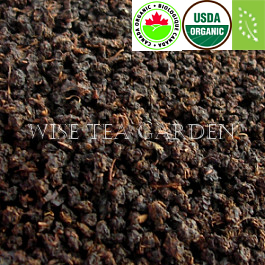 Ingredients: Natural Estate Black Tea. Infusion: Bright and coppery orange. Cup characteristics: A classic Kenya tea harvested on one of the finest tea estates, which is located at the foot of Mt. Tinderet (2640 meters) on the edge of the Tinderet Fores. 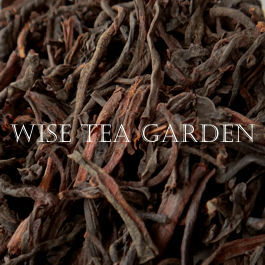 Like most high quality Kenyan teas, the Tinderet estate produces a highly flavoury, haunting full cup, with a rich infusion and superb malty flavor notes. The Tinderet estate' teas are Fair Trade and the Ethical Tea Partnership certified. Ingredients: Natural Estate Black Tea. Infusion: Coppery orange. Growing Altitude(s): 6000 - 8500 feet above sea level. Cup Characteristics: The liquor is bright with excellent sweet and flowery aroma and taste. A good after-dinner tea. This tea is a true Orange Pekoe. When you pure boiling water on this tea, you will see how the leaves uncurl and expand dramatically (the process is called 'the agony of the leaf'). FYI: Lover's Leap is one of the best tea gardens in Sri Lanka. During its peak season (Feb-Mar) this estate's production is characterized by a delightful flavour that is astringent and lively. The best weather for producing quality tea is highlighted by cool nights, dry weather and bright sunny days. Ingredients: Luxury Black Tea. Infusion: Bright and coppery. Cup Characteristics: An extraordinary Ruhunu with 'mouth feel', a plum finish, and a very rare handmade leaf style. The finished leaf is exceptionally well crafted and very stylish, overflowing with golden and silver tips. The cup is likewise superb with an amber liquor opening up to a refreshing medium body, mouth filling astringency and delicate notes of plum on the finish. Rare, manufactured in small batches. Ingredients: Luxury Reserved Black Tea. Infusion: Tending golden orange. Cup characteristics: Round robust notes of malt, well-balanced layers of astringency and a long, full-body finish, a super tea from one of the world's best-run estates. Malawi has suffered from massive deforestation over the past 2 decades (from approx. 2000 year). To help combat the problem, Satemwa estate has begun donating Eucalyptus seedlings and undertaken a public campaign to educate people on the importance of replanting. Also, Satemwa became Malawi's first Fair Trade certified estate. Ingredients: Estate Black Tea. Infusion: Golden orange with reddish highlights. 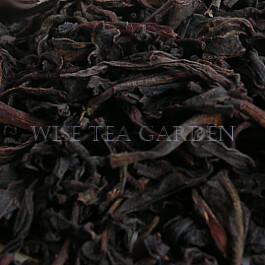 Cup Characteristics: Ultra rare black tea, the highest quality Flowery Orange Pekoe. Light cup, but very astringent. Excellent muscatel highlights. 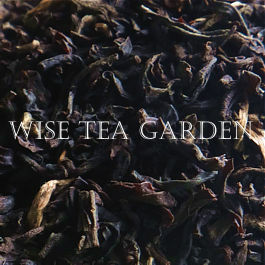 A tea gem from Darjeeling Estate, India. Only available during April. Ingredients: Luxury Reserved Black Tea. Infusion: Bright and golden coppery. * SORRY, OUT OF STOCK. Might be re-stocked or substituted with a similar Reserved Tea. Cup characteristics: Rukeri's estate annual output stands at about 3 million kilos, and is considered to be one of Africa's best. Rukeri's cup is full-bodied with hints of malt, molasses and subtle wine, and a delicate astringent finish. The factory at Rukeri is a large local employer, providing jobs for about 400 people. Although the estate has its own 2500 acres under the tea, Rukeri also purchases a large quantity of tea from small-hold farmers in the surrounding districts. In Rwanda, tea is a continuous crop and grows all year round. Ingredients: Natural Estate Black Tea. Infusion: Coppery orange with light reddish highlights. Cup characteristics: Sylvakandy Orange Pekoe is an excellent self-drinking tea: Bright cup with superb flavour and floral notes. Like most non-blended teas it is best enjoyed hot with a dash of milk to help open its flavour profile. World-class teas like Sylvakandy hold as many nuances and subtleties as fine wines and should be savored with an open mind and clean palate. Throughout the world of tea, Sylvakandy Estate has been associated with exceptionally crafted teas and evenly graded leaf. 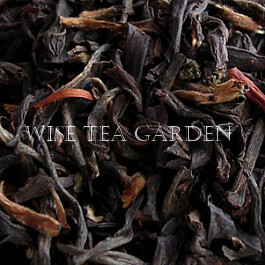 Ingredients: Natural Estate Black Tea. Infusion: Bright, coppery. Cup characteristics: 1st Flush tea, produced during March when the young leaves yield a light tea with intense muscatel character. A gentle afternoon tea. The plucking fields of Soom Estate are about 5200 feet above sea level and the terrain is very severe with some of the slopes approaching 45 degrees. The slopes are so steep that the estate still carries the green leaf to the factory by mountain pony. The Soom Estate employs 700 people, and provides housing, food and medical needs for the workers' families. Ingredients: Estate Black Tea. Infusion: Bright tending slightly greenish. Cup characteristics: The Tanzania Estate teas are similar to Kenyan ones: full-bodied with malty flavour and slightly flowery notes. 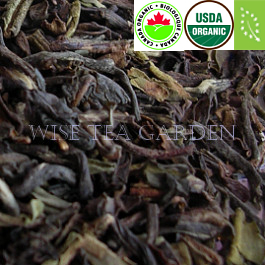 Tanzanian teas are produced without any input of chemical fertilizers, pesticides and herbicides. The production is primarily CTC (cut, torn and curled). It is a perfect early morning or afternoon tea. Ingredients: Natural Estate Black Tea. Infusion: Bright, reddish coppery. 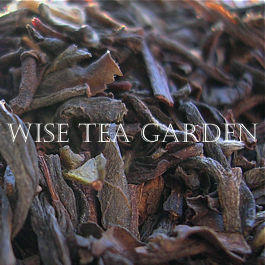 Cup characteristics: One of the nicest teas to come from one of the best estates in Tanzania. It has a malty character with nutty-like flavour. Luponde is by more than just an amazing tea. In recent years, the estate has earned a Fai Trade certification and has established an excellent track record of beneficial social and economic developments for its workers. 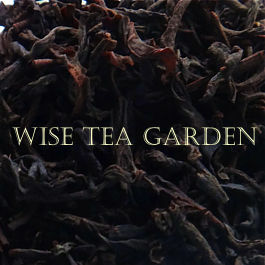 Ingredients: Natural Estate Black Tea. Infusion: Tending rosy with golden highlights. 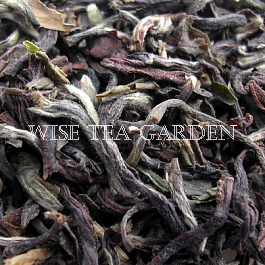 Cup characteristics: A thick full-bodied tea with good malty flavour. A good all day self-drinker. Tarajulie is an exceptionally picturesque estate founded in 1884 and nestled between the Gabharu River on its west side and the Dipota River on the east. This estate has two divisions: Tara and Julie - named after the lakes contained within the estate's boundaries. Tarajulie FBOP 2nf flush offers a yellowish bright liquor with an fabulously robust cup and deep malt character - an exceptional tea. Ingredients: Estate Black Tea. Infusion: Bright and tending coppery. 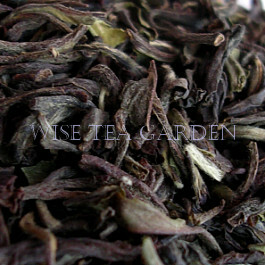 Cup characteristics: Classic muscatel character but with delicious hints of peach and almond - a fabulous mountain tea. Temi Estate was first planted in 1969 on Sikkim terraces. Tea growing standards are so high that Temi received The Tea Board of India's 'All India Quality Award' in 1994 and 1995. 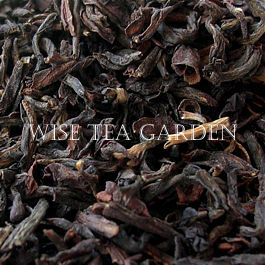 Temi Tea Estate is considered by many to be the pride of Sikkim region. The quality of the finished product is evident from the first sip of a cup of Temi. A splash of milk opens its sweeter character amazingly. Ingredients: Estate Black Tea. Infusion: Tending coppery.